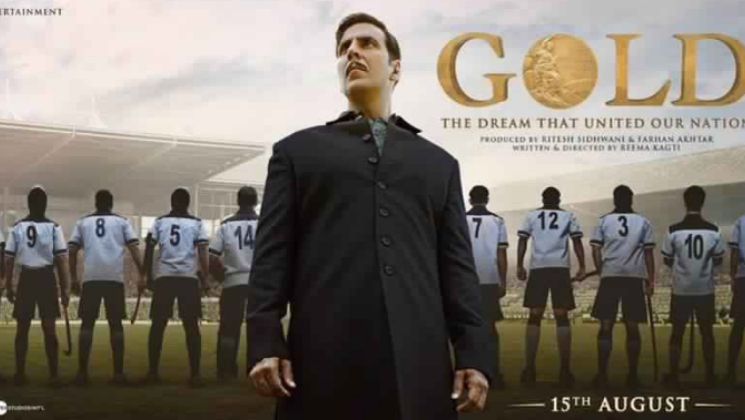 HomeExcel Entertainment’s ‘Gold’ will start a trend of Sports films! Excel Entertainment‘s one of the most ambitious projects ‘Gold’ releases this year. Its almost as if ‘Gold’ is all set to start a new trend of team sports films which are based on true events. The film is about India’s first Olympic medal win as a free nation in the year 1948 at Games of the XIV Olympiad, London. The film will be followed by another team sports film ’83’ which is based on one of the most important events in the Indian cricket history. In 1983, the Indian Cricket Team won the Cricket World Cup in England. This was the first time ever that any team apart from the West Indies ever won the world cup. And it was the first time ever, that an Indian team won any prominent tournament. It’s almost as this win taught India to win! Not only ’83, after ‘Gold’ there will be a series of sports biopic which will hit the silver screens in the future. Films like Abhinav Bindra Biopic, Saina Nehwal Biopic, Biopic on Gopichand, P.V. Sindhu Biopic will get released in the coming years. So we can definitely deduce that Gold will start a trend of Sports films. Staying true to the genre of the film, ‘Gold’ is to release on Independence Day this year. The trailer of ‘Gold’ has been received well by the audience and now everyone is waiting for its release with bated breath. The recently released songs of ‘Gold’ has resonated well with the listeners. ‘Gold’ marks to be the first association between Akshay Kumar and Excel Entertainment led by Ritesh Sidhwani and Farhan Akhtar and the Bollywood debut of actress Mouni Roy opposite Akshay Kumar. Apart from Akshay and Mouni, ‘Gold’ has an ensemble cast of Kunal Kapoor, Amit Sadh, Vineet Singh, Sunny Kaushal and Nikita Dutta. The period film is helmed by Reema Kagti has been shot across the UK and India. 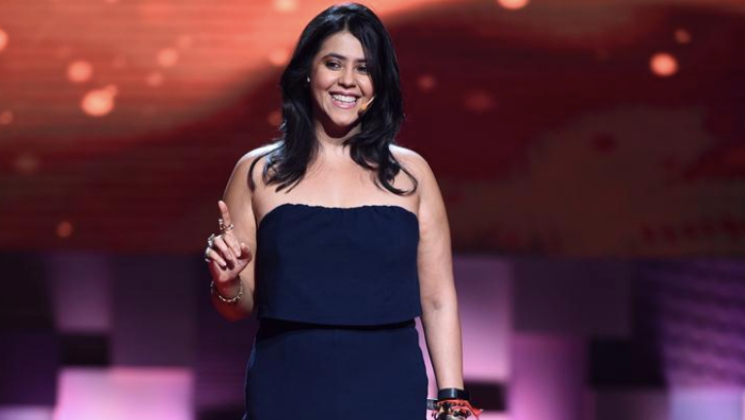 Ekta Kapoor is currently riding high as she is juggling between multiple projects across various mediums. Post the immense success of ‘Veere Di Wedding’, Ekta is currently creating buzz with her Television show ‘Naagin’. The filmmaker is all excited about her upcoming line up which is in collaboration with creative wizards Imtiaz Ali, Habib Faisal, Subhash Kapoor and Kamal Haasan. Ekta’s association with Imtiaz Ali for Laila Majnu is her 3rd love story film after getting accolades for ‘Ek Villain‘ and ‘‘ . Ekta has set a benchmark when it comes to daily soaps. The filmmaker has not just treated the audience with Television contents but has also ventured into films and digital industry. Her latest domain being the Digital platform, Ekta has tailor-made content for the online audience. Ekta’s next collaboration with Habib Faisal is for a web series called ‘HOME’ starring Annu Kapoor, Supriya Pilgaonkar, Amol Prasar. Going ahead with yet another web series Ekta is associating with filmmaker Subhash Kapoor for a web series on ALT Balaji called The Verdict which is based on Nanavati case. Kamal Haasan’s most awaited ‘Vishawaroop 2’s Hindi version will be released by Ekta Kapoor in north and western regions. Touted as content czarina, Ekta Kapoor is undoubtedly the only female producer who has carved her niche in the industry with utmost excellence. Ekta has set a benchmark when it comes to daily soaps. The filmmaker has not just treated the audience with Television contents but has also ventured into films and digital industry. Ekta has been in the industry since she was only 19 years old and has achieved a milestone by herself. Suhana Khan and Gauri Khan are having the best time of their life in the USA and every day, the web gets at least one or the other photo of this stylish mother-daughter duo. Recently, a photo of Suhana with her mother went viral on the web where Suhana was seen posing with Gauri in her stylish best. Suhana was dressed in a yellow body-fit top and black shorts whereas Gauri flaunted a black top with rugged jeans. Later, this picture activated haters and trolls on the web, who then started moral policing Suhana and Gauri, with some even lecturing them on how she should dress. This is not the first time that Suhana has been body-shamed and become a target of trolls on the social media. Recently, she was slammed for posing with her friend wearing a grey gym tee, which had a plunging neckline. Apart from this picture, Suhana Khan was also a target for trolls after her pictures in a bikini from her European vacation went viral on the internet. Coming to Shah Rukh Khan‘s professional front, the actor will soon be seen in Aanand L Rai’s ‘Zero’ which also features Anushka Sharma and Katrina Kaif in the lead roles. The film will hit the screens in December this year! Apart from this project, he also has ‘Salute’ for which he will begin shooting in October this year. The leading lady of the same is yet to be finalized.